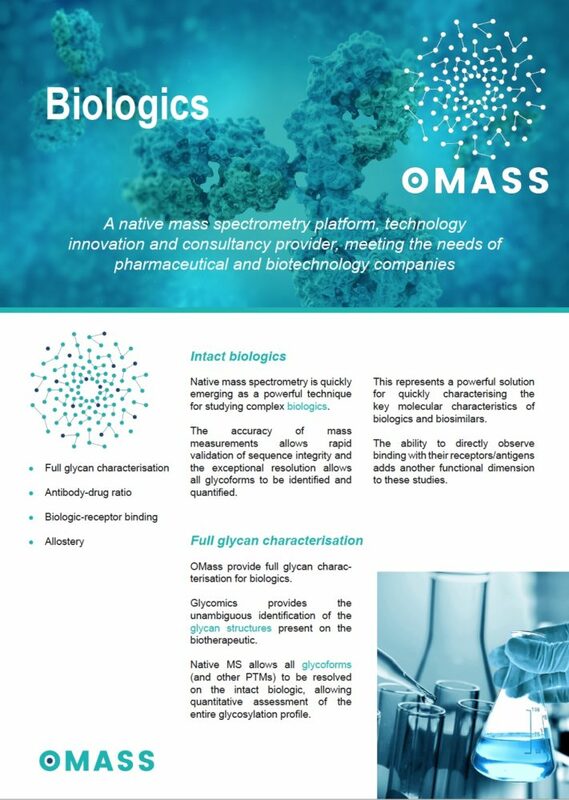 On march 16, 2018, smv3 organized a visit of OMass Technologies in Switzerland. 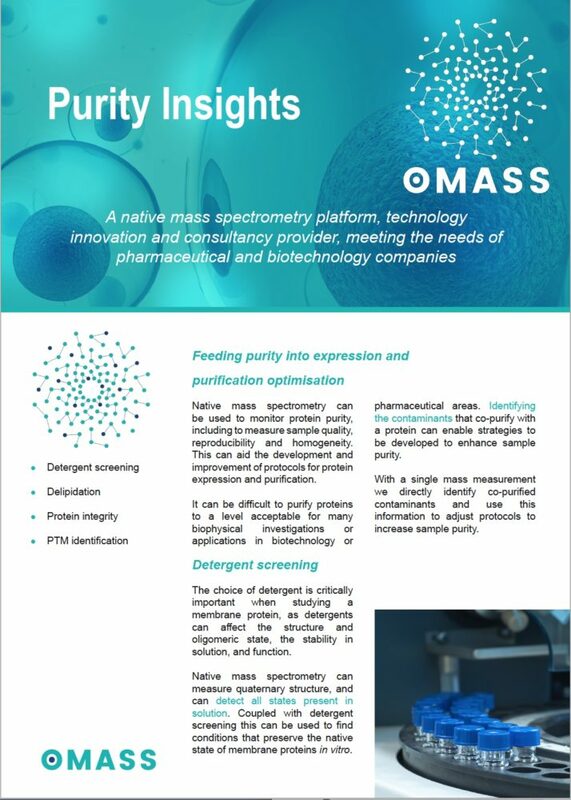 One presentation was in Basel and one in Villigen at the PSI. 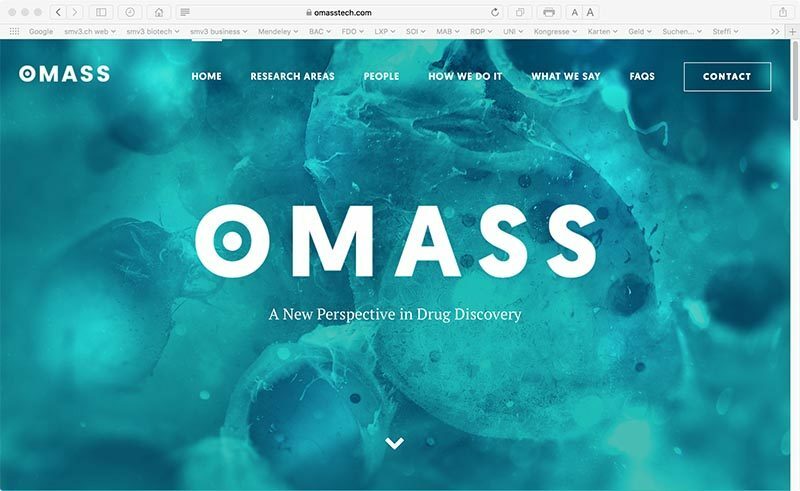 Carol Robinson’s achievements have made membrane proteins amenable to mass spectrometry. 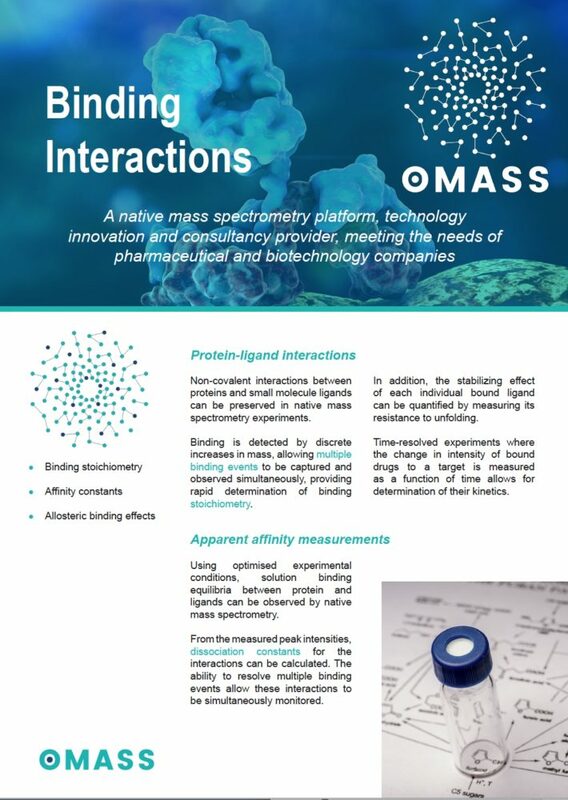 Questions around ligand and lipidation influence, allostery, dynamics and shape change can be addressed using the appropriate methods of expression, purification, native mass spectrometry and ion mobility. 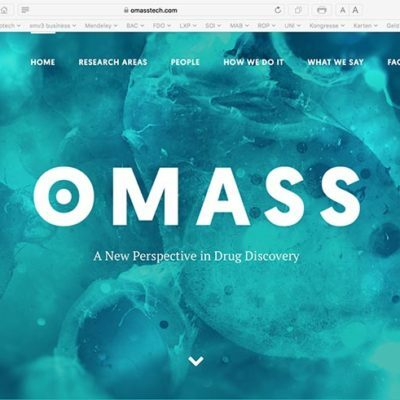 In order to facilitate collaborations with industrial partners Oxford University has licensed its patents to a startup company „OMass Technologies“ which is led by two former research fellows of Prof. Robinson and herself. 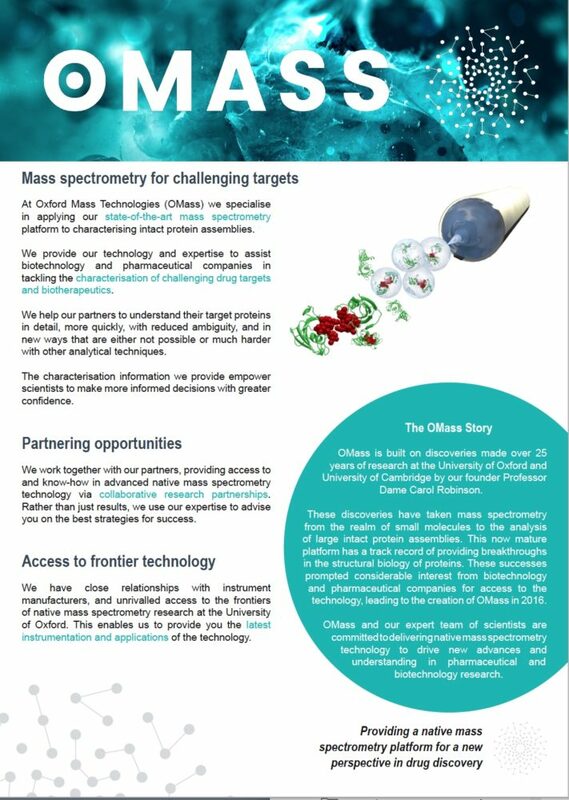 Being a mass spectrometry aficionado and enthusiastic about its potential, I would like to help them grow their business. Below you find some ‘one-pagers’ with application proposals. 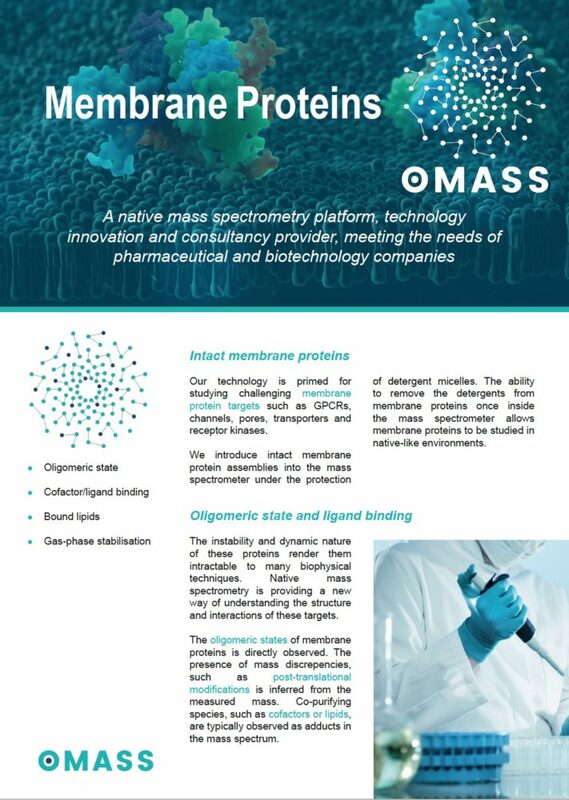 Contact us or OMass’ CTO Idlir Liko if you have any questions or plans with membrane protein characterization or asessement of ligand binding.